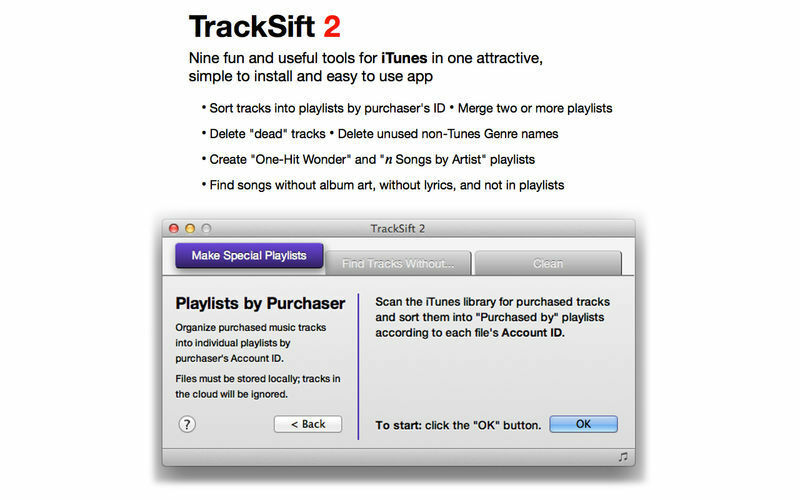 iTunes tools for creating special playlists and more. 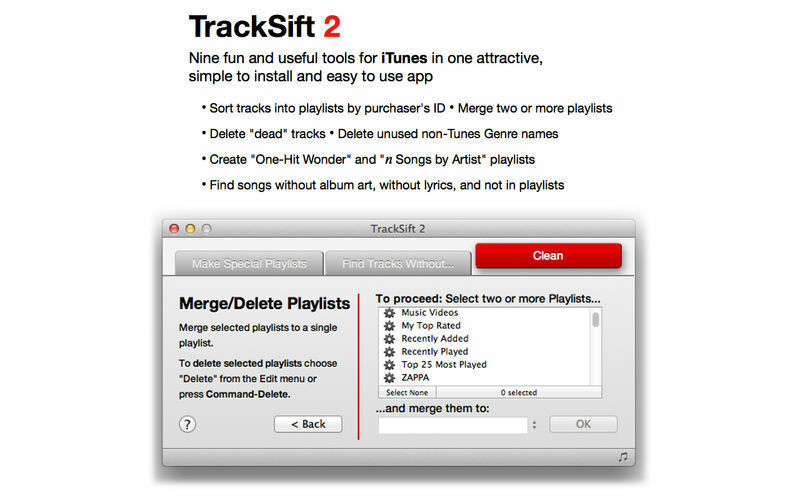 Is there a better alternative to TrackSift 2? Is TrackSift 2 really the best app in Audio category? Will TrackSift 2 work good on macOS 10.13.4? 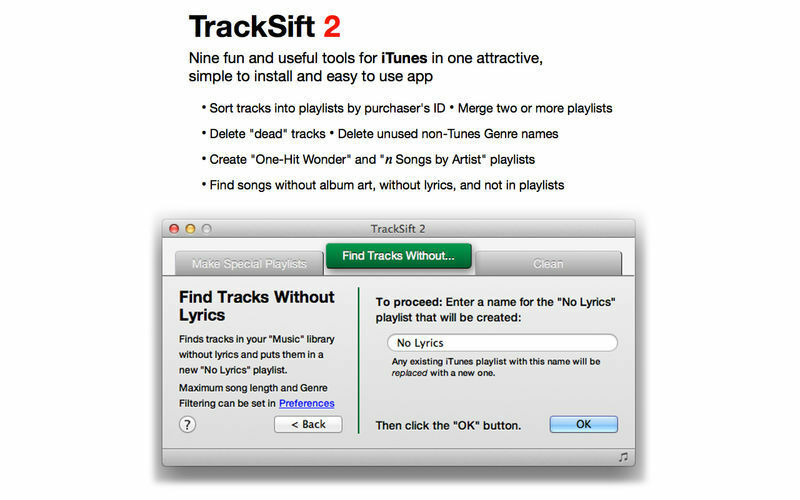 TrackSift 2 brings together 9 easy to use tools for iTunes to assist with creating special playlists and cleaning up your iTunes library. Remove dead tracks, find tracks without artwork or lyrics, create "two-fers" and "three-fers" playlists, delete unwanted Genre names, find "one-hit wonders", and more.